Transport Art – Art for Art's Sake! 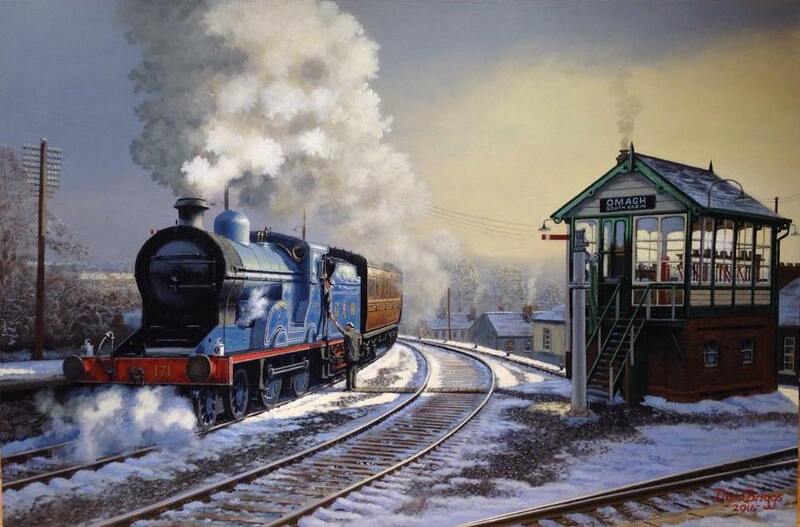 David Briggs – The Station Master! One of the great things about this new blog is that it gives me a platform to draw people’s attention to some really great, less well-known artists that are out there. One such is David Briggs from Lisburn, County Antrim, who you’re probably unlikely to have heard of unless transport, especially railways, are your thing. 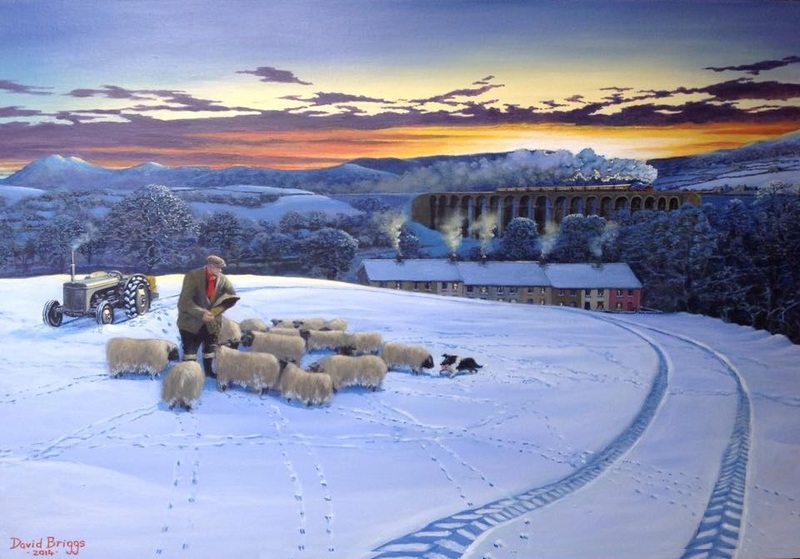 You won’t have come across his work at auction as he only works on a commission basis, and when you look at his stunning paintings you will see why it’s unlikely any of it will see the inside of a saleroom unless their owners die or run into serious financial difficulty. 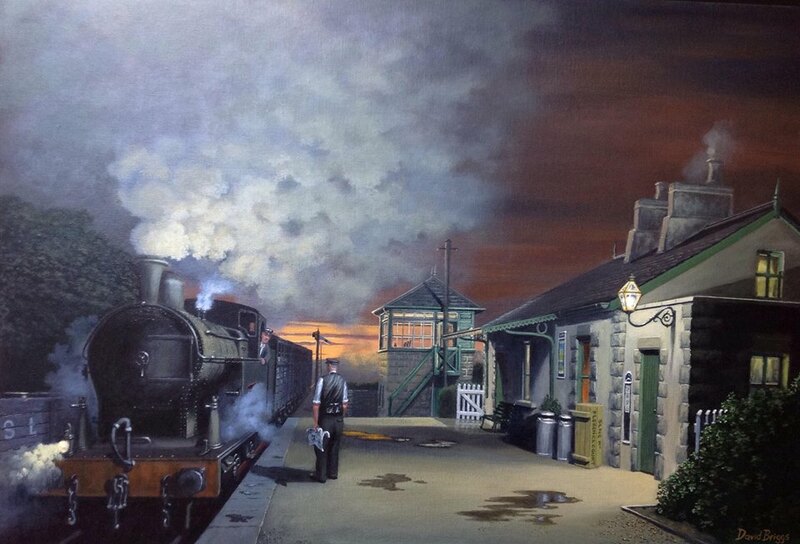 “Twilight at Florencecourt” a scene that can never be repeated on the late lamented Sligo, Leitrim & Northern Counties Railway – an independent concern to the end and which closed 1957. “Craigmore in the snow” – a picturesque view of the famous viaduct near Newry on the Dublin/Belfast line. 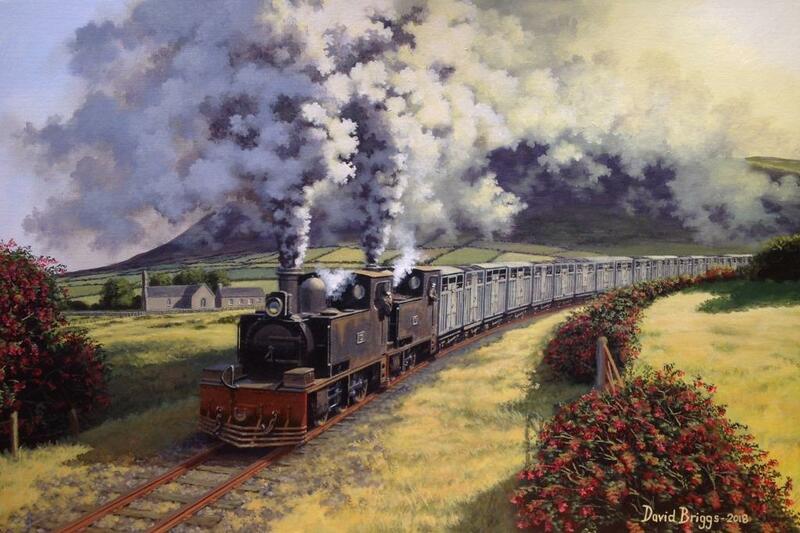 They are far more than just railway paintings though and scenery, people and weather are not overlooked. They depict Ireland in a gentler, more easy-going era when the pace of life still allowed people the time to stop for a chat. 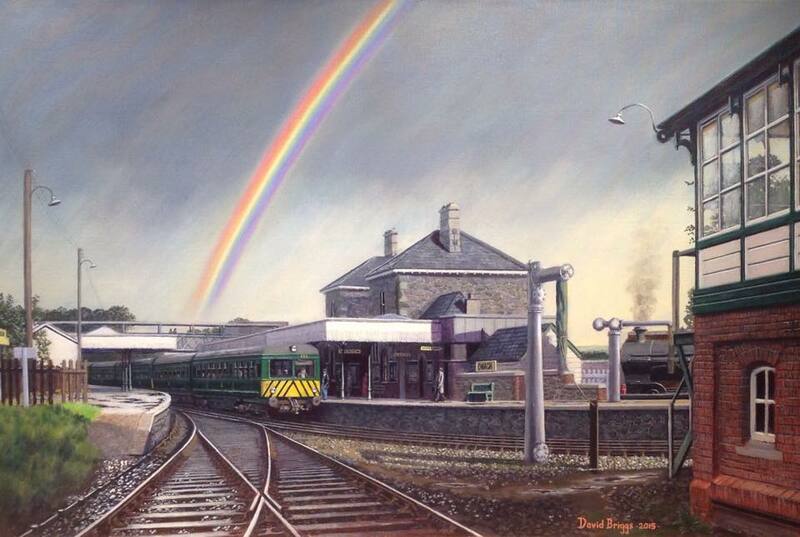 “Omagh, 1964” – the diesel railcar set adds to the poignancy of the painting as the Great Northern Railway’s line between Portadown and Londonderry, known as the ‘Derry Road‘, was a late survivor finally closing in 1965 and was a victim of political shenanigans.